Nordic Lodges was founded in 2013 by Jón Baldur Thorbjörnsson and Helmut Dussileck. 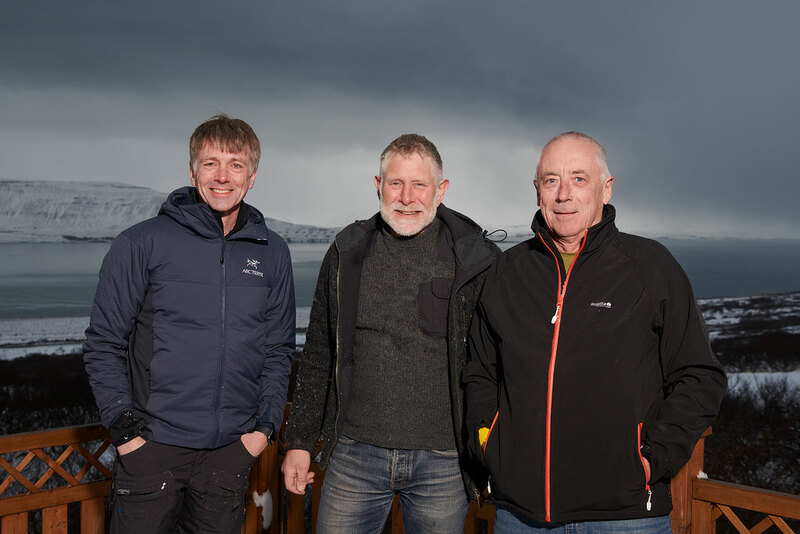 With their experience and knowledge of Iceland, Jón and Helmut have created the Roof 'n Route concept to offer guests excellent holiday homes in different regions of Iceland in strategically located locations. In 2018, Michael Fersch joined Nordic Lodges as another shareholder. Jón Baldur has worked as a tourist guide since 1983 and is very experienced in the Icelandic tourism industry. He founded the tourism company Isafold Travel and the off-road vehicle company Isak. Before that, he completed an apprenticeship as Dipl. Fahrzeugtechnik-Ingenieur at the University of Applied Sciences in Munich. Helmut is an entrepreneur with a Ph.D. of Mathematics and lives in Munich, Germany. Several trips to Iceland made him an Icelandic fan. Michael lives and works as a computer scientist in Burghausen, Germany. As an enthusiastic photographer he discovered his passion for Iceland during his first visit in 2006. Michael is responsible for the internet presence of Nordic Lodges. In recent years Nordic Lodges has provided many guests with a home and made their stay in Iceland comfortable and unforgettable. Many guests spend their holidays in Iceland again and again in holiday homes of Nordic Lodges. We are proud of the fact that our guests are very satisfied with the holiday homes and the service of Nordic Lodges. Since the founding of Nordic Lodges, the number of bookings has risen continuously every year.